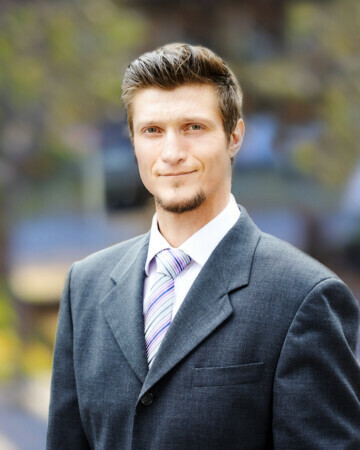 Jason Stipancic – Pocrnić Realty Advisors inc.
Jason has been with Pocrnic Realty Advisors Inc. for well over 10 years. His prime focus is as an Appraiser, however he has been involved in many brokerage negotiations between purchasers, vendors and cooperating brokers under the real estate portfolio. Jason has prepared countless appraisal fee assignments for a wide array of residential, industrial, commercial and multi-residential properties for the purpose of mortgage financing, power of sale, insurance assessment, marital separation, litigation as well as estate planning. Speciality appraisal assignments have included site selection reports for major retailers, and fair market rent arbitration for parking lots and gas stations. Consulting services include fair market rent arbitration, site selection evaluation and property assessment and taxation appeals involving frequent appearances before the Assessment Review Board on behalf of various private and public interests. Jason Stipancic AACI, Hons B.Comm., P.App.